A couple who got married in April gave us a lovely present. The porcelain hand-made by the father of the bride who is from Taiwan. 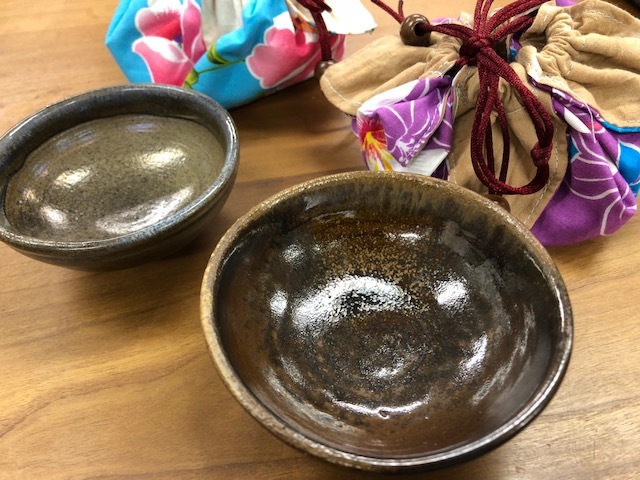 We were so pleased to have such beautiful bowls and impressed with their quality. The bride was always cheerful and had nice smile and the groom was very gentle and sweet. We always enjoyed the meeting with them. 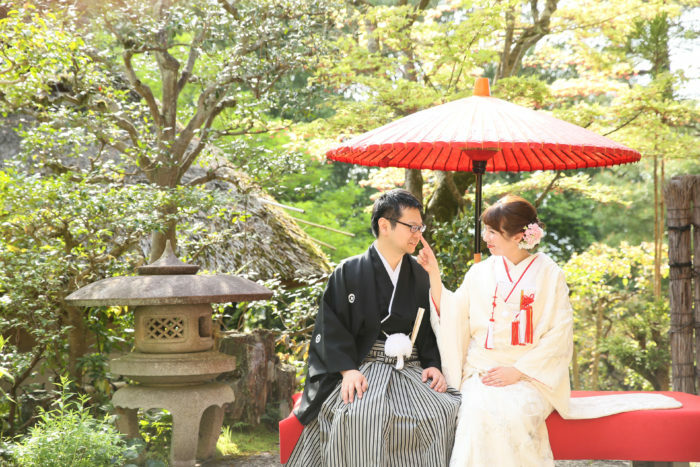 They looked so perfect in “montsuki-hakama (the groom’s costume)” and “shiromuku (all white kimono for the bride)” on their wedding day. It was a great pleasure for us to support such a beautiful couple to get married.